Call 9-1-1 for law enforcement officers, fire or emergency medical services in the areas listed above. 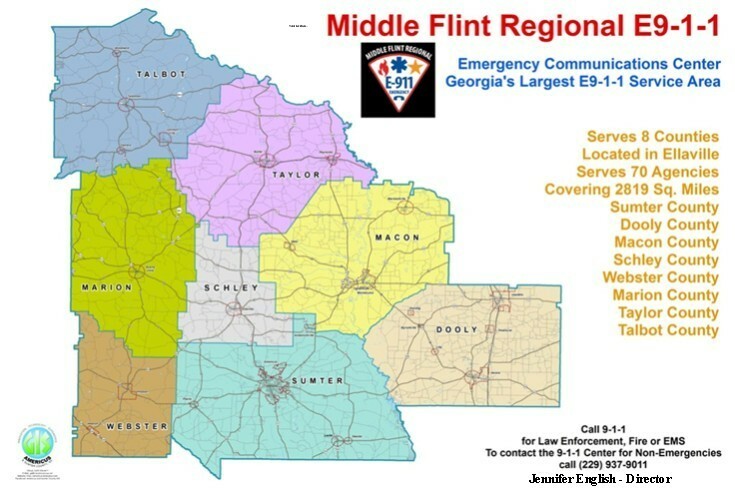 The governing body is the Middle Flint Regional E9-1-1 Authority. The Authority is made up of representatives from each of the eight counties. The E9-1-1 Authority meets 4th Tuesday at 4 P.M. in the E9-1-1 Center conference room. Click here for a printable copy of the OPEN RECORDS REQUEST FORM. Why all the questions when you call 911?